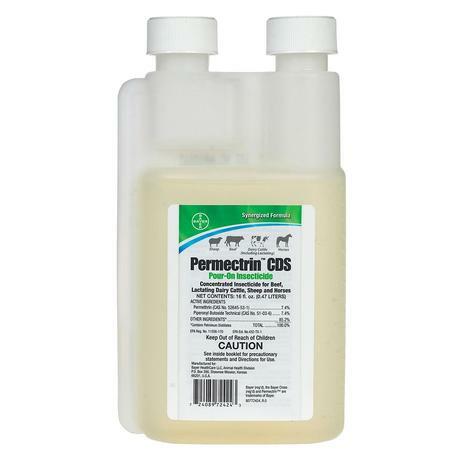 Permectrin CDS Pour-On Concentrated Insecticide by Bayer effectively controls stable flies, horse flies, horn flies, face flies, eye gnats, mosquitoes and ticks. Can be applied as a mist or wipe-on to horses/foals, or poured along the back and down the face of mature horses. Can also be used as a cattle rub: mix 10.5 oz/5gallons mineral oil or as a pour-on for sheep. 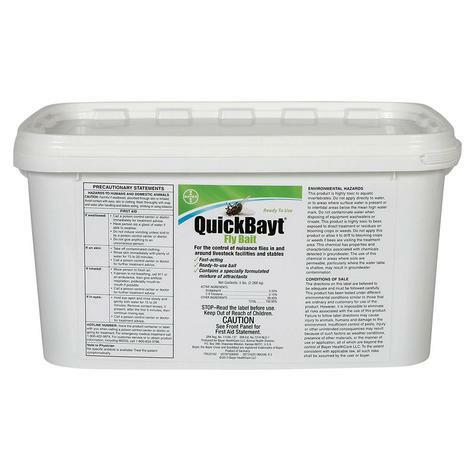 Bayer QuickBayt® Fly Bait ready to use as scatter bait but also easy to use in bait stations or as a paint-on This product is for the control of Nuisance Flies in and around livestock facilities and stables. 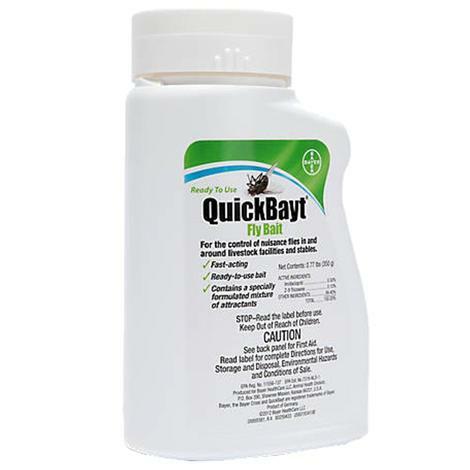 Bayer QuickBayt® Fly Bait starts killing nuisance flies in as little as 60 seconds. It's ready to use indoors or outdoors as scatter bait, in bait stations, or as a paint-on.